SpiceJet, which has made a turnaround after being on the verge of collapse in 2014, placed an order for up to 205 B 737 MAX 8 planes last year and has inducted the first one into its fleet. 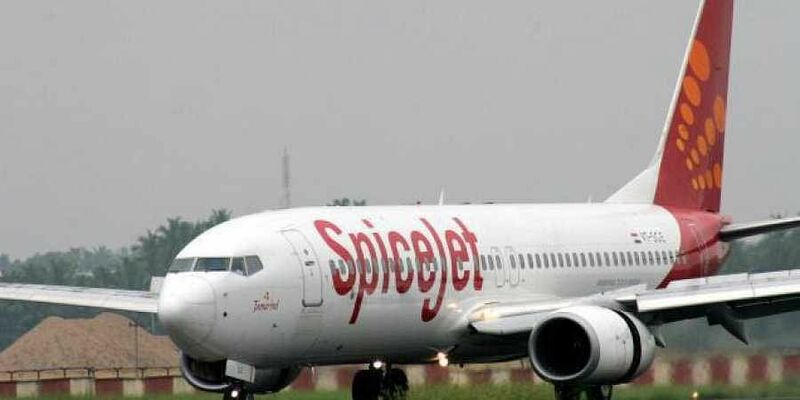 NEW DELHI: SpiceJet plans to fly to new international destinations as well as provide free internet onboard its more fuel-efficient Boeing 737 MAX 8 planes, according to the airline. The no-frills airline, which has inducted its first 189-seater B 737 MAX 8 aircraft, Friday said the plane can fly non-stop to Singapore, Doha (Qatar), Kuwait, Abu Dhabi (UAE), Riyadh (Saudi Arabia), Kuala Lumpur (Malaysia), Tehran (Iran), Salalah (Oman) and Kunming (China), among other destinations, from various Indian airports. The aircraft is equipped with Satcom that would enable the airline to provide internet on board services once the requisite approvals are in place. According to him, there would be proper broad band internet onboard and that a basic package can be complimentary. B 737 MAX planes burn up to 14 per cent less fuel than older 737 planes. "Lower cost and lesser days out of service results in up to USD 4 million savings," the airline said in a statement. SpiceJet plans to use the 737 MAX to expand and standardise its fleet while focusing on increasing their international and regional presence. "Delhi-Hong Kong, which would be SpiceJet's eighth international destination, will be exclusively serviced by the 737 MAX," it said. The aircraft can fly up to around 19 per cent more than 737-800. SpiceJet's first B 737 MAX 8 plane has been named 'King Chilli'. "We can look at all destinations. We will see which routes make money and we will fly there. We will pursue all options, including Iran," Singh said on the sidelines of an event here to mark the induction of first Boeing 737 MAX 8 plane. He was responding to a query on whether the airline would pursue the option of flying to Iran. In 2017, SpiceJet inked a deal worth about USD 22 billion with Boeing to purchase up to 205 aircraft. At the event, Civil Aviation Secretary R N Choubey said this order enabled Prime Minister Narendra Modi when he went to the US and had the first meeting with President Donald Trump "to tell President Trump that we have created more jobs by this order than the jobs that may have been taken away by the outsourcing of IT sector." Currently, SpiceJet has a fleet of 37 Boeing 737 MAX and NG jets and 23 Bombardier Q-400s. On an average, the airline daily operates 416 flights to 57 destinations, including 8 international ones. Making a case for increasing airfares, Singh said the additional cost incurred by airlines is close to 20 per cent in terms of rupee depreciation and oil price increase. "Fares need to go up. Airlines need to be more responsive. At this time, we need to bring down costs and raise revenues," he said. The SpiceJet chief said right now, airlines really need to pass on some of the additional costs that were incurred in the last year or so. "The additional cost is close to 20 per cent in terms of rupee depreciation and oil price increase certainly it has to be passed on. It is not difficult need to take up fares," he noted. To a query about possible package for the domestic airlines industry, Singh said, "we don't want a bailout package. All we are asking is give us a level playing field with our peers around the world, many of whom we currently compete with". These countries do not have tax on ATF. Whenever there is marginal taxation on ATF, then in those countries there is input tax credit available. "Secondly, there is no import duty on services, aircraft parts. We want both things to be addressed for India to become an aviation hub," he said.